The Semiconductor and Electronics Industries in the Philippines Foundation, Inc. or SEIPI is the largest organization of foreign and Filipino electronics companies in the Philippines. 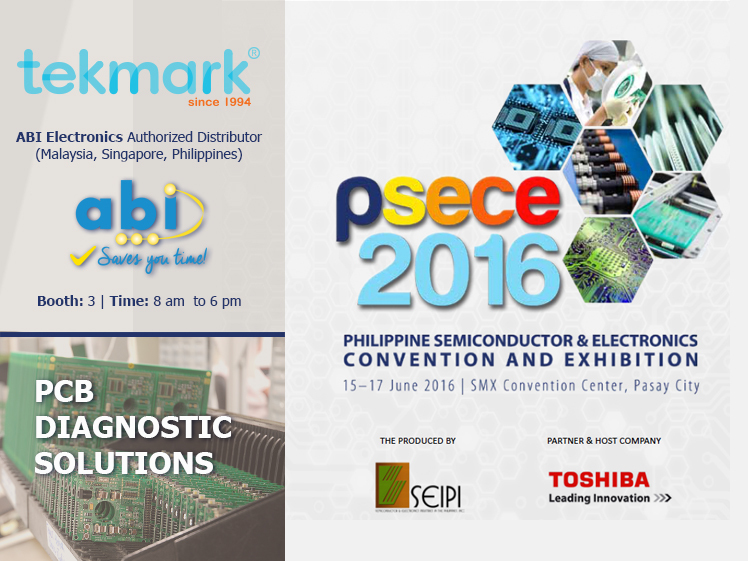 Our distributor Tekmark Group will be demonstrating ABI systems at Booth -3- from June 15 (Wed) - 17 (Fri), 2016. Hours: 8:00 am to 18:00 pm. The exhibition component features the complete range of the electronics industry, from chips to finish products, from suppliers/service providers to manufacturers to retailers and distributors.